Damon has written an interesting article for Pitchfork suggesting that plagiarists should have the same rights, and responsibilites as artists who cover tracks. The article comes in the wake of the Thicke/Pharrell "Blurred Lines" suit and includes a history of mechanical rights and suggests that a similar arrangemnemnt should be put in place for "borrowing". Why not return to the Solomon-like wisdom of the 1909 Copyright Act, and extend its concept of compulsory licensing to digital copying? Let anyone make use of existing intellectual property as an aspect of their own work, so long as they pay a statutory royalty to the owner. Thicke and Williams might then borrow from Gaye at a statutory borrower’s rate, just as they could have covered Gaye at the statutory rate for mechanical reproduction. 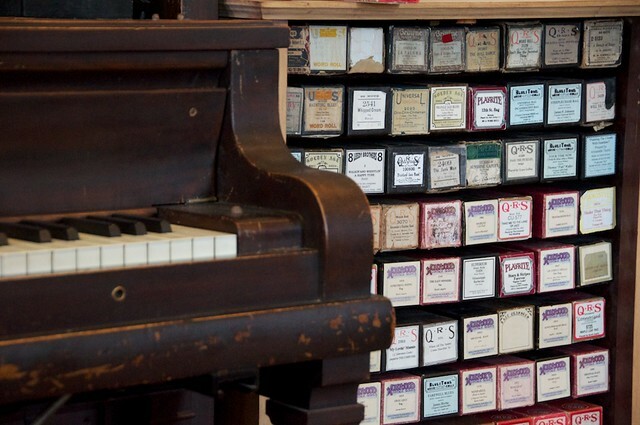 The manufacturers of piano rolls maintained that they did not need to pay composers for copyright, because they were not in fact making “copies” of sheet music. The piano rolls were not readable by humans—they could only function as a part of the complete player piano, for which they already owned all patents. Piano rolls were not “music,” as it was understood at the time, but a mechanical part of the machines that played them. Op-Ed: Plagiarize This: A Reasonable Solution to Musical Copyright After "Blurred Lines"